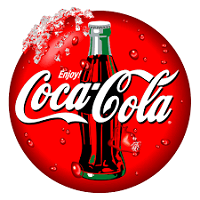 The Coca Cola Tanzania comprises of several groups/branches located in different country zone, It include the Coca Cola Kwanza in Eastern zone located in Dar es salaam and other branches like those located in Moshi, Mwanza and other parts of Tanzania.. The group covers the largest territory within the Coca-Cola system and serves a total population of approximately 45 million people in Tanzania. In addition to producing a variety of beverages for people in Tanzania to enjoy, it is part of their mission to be a model citizen and a leading partner for the sustainable development of the communities in which they operate. They pioneer and support a wide range of initiatives focusing on healthcare, education and the environment. Identify the best job for you. Complete your online registration or sign in. Upload or enter your resume/CV. Click the Submit button to complete the submission process.